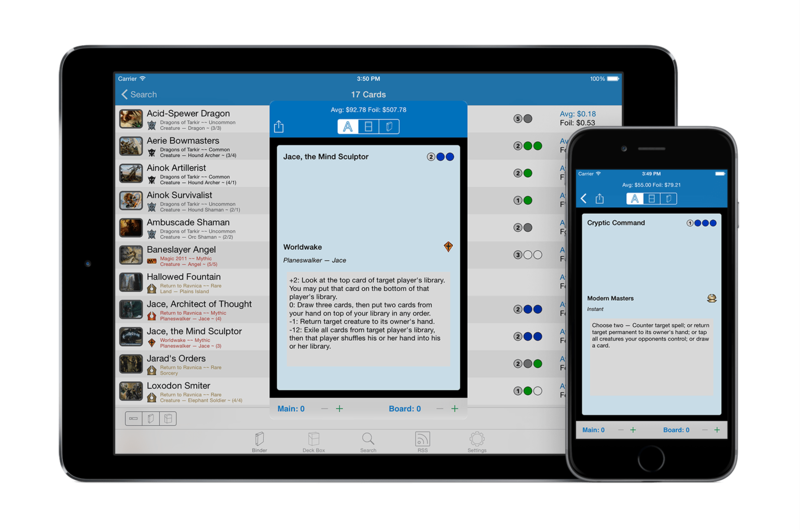 Reliquary is the best way to organize your Magic: The Gathering collection on your iPad, iPhone or iPod Touch. 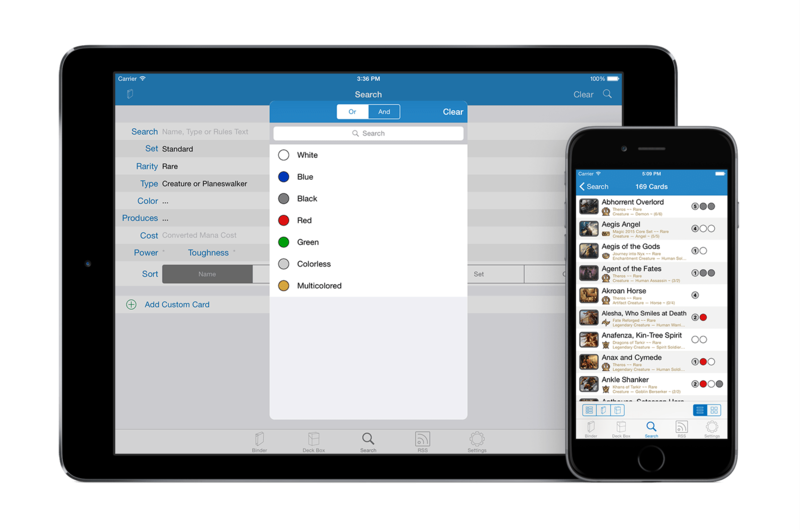 You will no longer have to pull out heavy, unorganized binders full of cards or re-sleeve an entire section after each set. With Reliquary, simply take out your iPhone or iPad and show off your collection! The Binder is the core feature of Reliquary. It is the best way to show off your vast Magic collection in a way that is fast and easy for you as well as anyone looking at your collection. Your binder is deeply integrated with the Deck Box so you can check to see if you own the cards needed to build your next amazing deck, and even mark the cards that are in the deck as "not tradable" so that they won't show up in your binder, but you'll still have a record of owning them. Deck Box is the powerful deck builder that is a part of Reliquary. 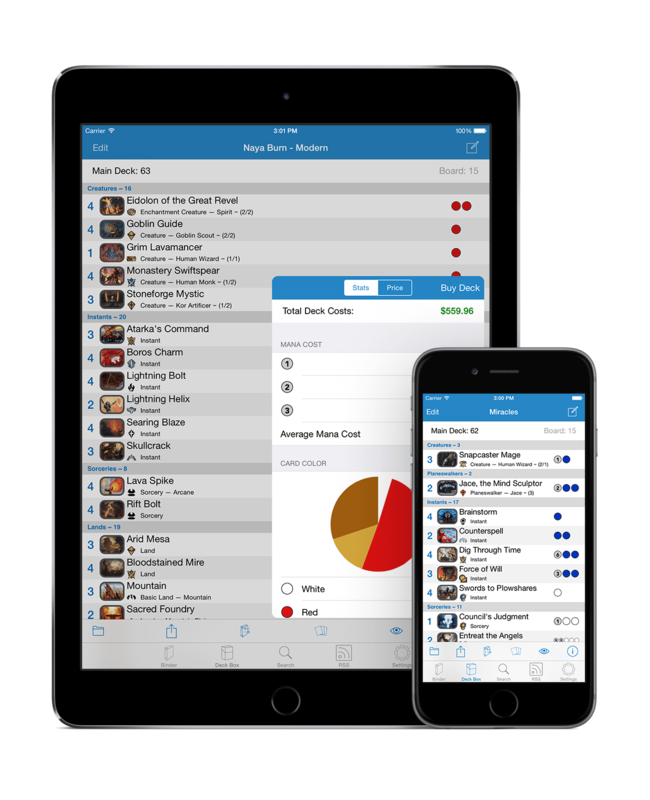 Deck Box is deeply integrated with your Binder, so you can quickly see if you own the cards you need for your next great deck. With amazing features like Goldfishing, Sample Hand and Stats, building a deck has never been this easy. With the powerful search feature of Reliquary, you can search for just about any card that has been created... including digital only cards! 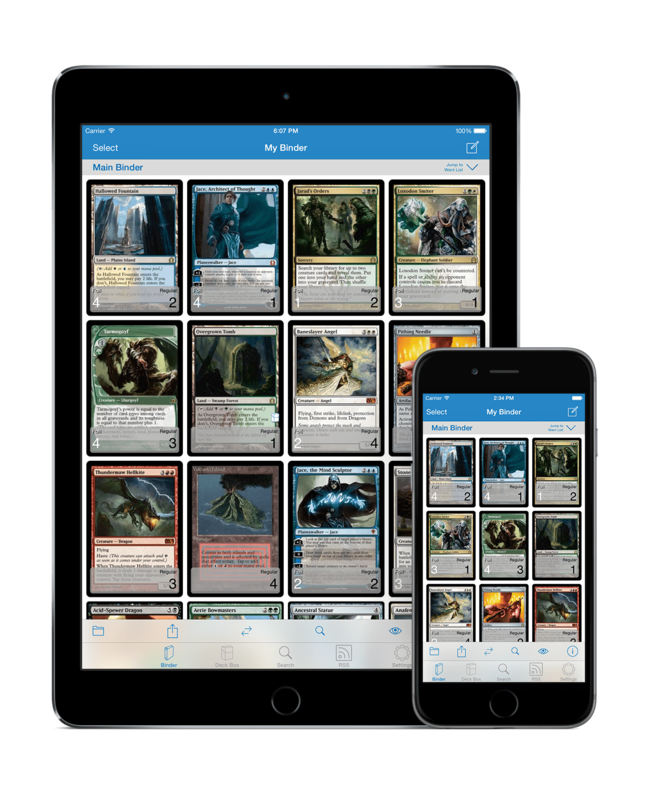 The database is stored locally on your device, so even if you don't have internet access, you'll always be able to look up cards. Reliquary works the best when you have access to the internet, but that doesn't mean that it isn't useful those times when you just can't connect.